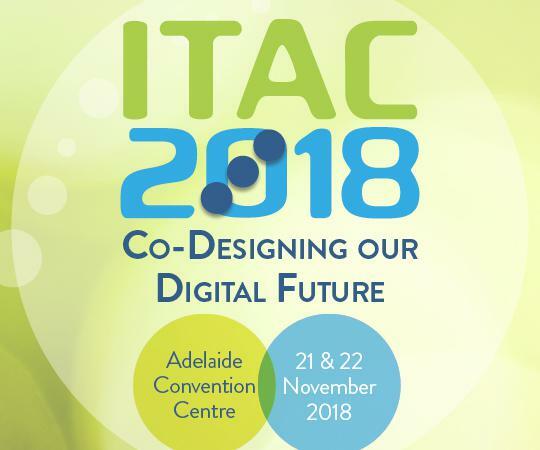 The ITAC 2018 organising committee invites you to participate at the ITAC 2018 conference to be held 21st & 22nd November 2018 at the Adelaide Convention Centre. The theme of the conference – Co-Designing our Digital Future emphasises the importance of assistive technology supporting service quality and independence. The conference will bring together the best IT leaders from Australia and the globe across the fields of community care, medication management, assistive technologies and offsite information systems delivery. These critical aged care topics will be discussed from a practical perspective, highlighting the information we need to know now to better manage and design aged care service delivery which will deliver on the evolving environment of enhanced consumer choice. ITAC 2018 will provide key content and opportunities for individuals and organisations with an interest in the aged care sector. National experts will present on a range of topics related to the conference theme. Presentations will also focus on the broad business and strategic issues facing an industry dealing with multiple challenges in an environment of substantial reform. ITAC 2018 will conduct a bright ideas workshop lead by Professor Karen Reynolds. Do you have a bright idea for new technology for the disabilities and/or aged care sectors? As a delegate to ITAC 2018 you have an opportunity to submit any idea that you think could be transformative - for the individual, the carer, the workforce or the sector. You are welcome to get involved. Let your imagination run free and put forward your best suggestions that can be considered at our interactive plenary session. A link to provide your suggestions will be sent to all attendees following their confirmed registration.